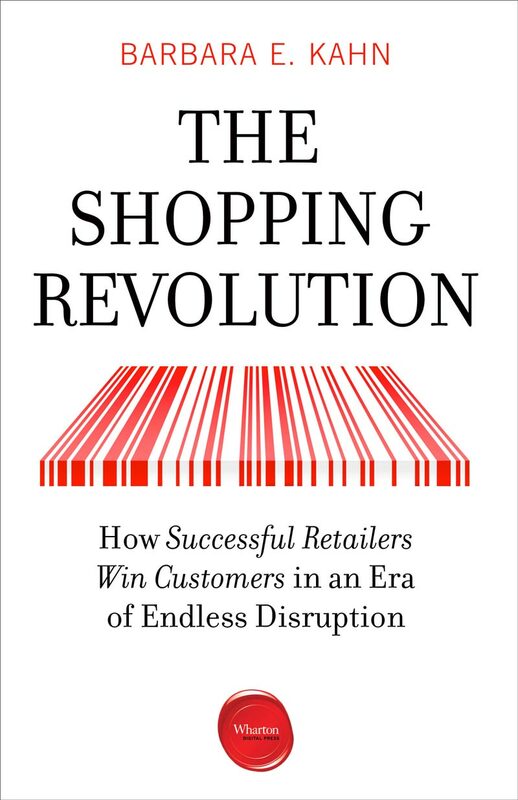 Tell us about your new book, The Shopping Revolution. Why did you write it? When you’re in the middle of an industry, people tend to see only their own part of the forest. As an academic, I have the luxury of being able to step back and synthesize. I’ve gotten to speak with many retailers and hear their stories – from traditional players trying to evolve to e-tailers experimenting with new ways of thinking. Based on what I learned, I put together a framework so people can understand why the world of retail is changing and which strategic initiatives make sense. One of the most insightful parts of the book is your “Kahn Retailing Success Matrix.” Can you explain how it works? It’s based on two insights. The first insight is the importance of customer value. I realized that traditional retail models were about product and operations. Historically, retailers cared about design and merchandising – the goal was to be like Mickey Drexler, the merchant prince. Beyond that, they tried to control costs through operations, logistics, and supply. Those are all still important. But the one thing that was missing was the customer – the very thing Jeff Bezos says Amazon is “maniacally focused” on. That leads to the first principle: People want to buy something they value from someone they trust. Those are the two columns in my matrix: do customers want the product you offer and do they trust you? The Kahn Retailing Success Matrix. The second insight is the principle of differential advantage. Customers don’t want to shop with someone who’s merely “good enough.” Thus, the rows in my matrix are about how you deliver for your customers – you either add pleasure or you take away pain. Product pleasure: Think brand and design. Nike, for instance, is a product that people really desire. Experiential pleasure: Think the importance of touch, of being somewhere in-person. Eataly and Sephora are good examples of this. Eliminate product pain: These are your low-price retailers, like Walmart. Eliminate experiential pain: These are the companies who make the buying process frictionless, like Amazon. According to that framework, which retailers will win in the marketplace? That’s the other element of my matrix that’s unique. In Marketing, it’s long been true that you have to be the best at something and good enough at the rest. But here’s the thing: The retailers who are winning today are leveraging their strengths in one area to become the best at a second area, too. For instance, offering low prices isn’t sufficient. That’s why Walmart bought Jet.com – to become more frictionless. Amazon is great at being frictionless, but they’re turning their efficiencies into low prices. It’s not just that shopping with them is easy or that they have the best loyalty program; they also offer products very affordably, too. Or look at Zara or Warby Parker: They’re amazing vertical brands, but they’re also eliminating layers in the chain and can therefore offer their goods at a better price. Or take Costco and TJ Maxx. How is it that they’re possibly winning with behemoths like Amazon in the marketplace? It’s because they offer low prices and they’ve found a way to create great store experiences. Neither is off-the-charts on eCommerce, either; it’s the storesthat are driving their business. Beyond that, you only see one-quadrant players succeed if they’re in niche markets, like Aldi or Dollar General. Amazon seems to have abandoned that segment. Who’s most at risk today? The ones I’ve seen struggle have been stuck in the middle, strategically. They haven’t been particularly good at anything. We will also have to see if the department stores can reinvent themselves in this new age of retailing. Does the Kahn Retailing Success Matrix apply to the global market, too? Yes, the basic principles should be the same, but I should note that the global market differs from the US market in important ways. I have not included Alibaba, for example, because they are not a big player in the US, but they are clearly a global force. It’ll be fascinating to see how it all plays out when these market leaders like Amazon, Alibaba, and Walmart start competing head-to-head in the same markets with different strengths. Europe is very different from the US and Asia. They’re hyper-concerned about privacy issues – which is notable because Amazon’s model relies on data. Second, the logistics of delivering to little European cities might not be as easy or frictionless. Even the physical layout of stores is different. Finally, Europe is the home to hundreds of years – a true heritage – of luxury brands. We’ll have to see how powerful that factor is, and which strategy will ultimately win.